Center for Investigative Journalism of Serbia (CINS) is among the individuals and organisations shortlisted for the 2019 Index on Censorship Freedom of Expression Awards Fellowships, which celebrates individuals or groups who have had a significant impact fighting censorship anywhere in the world. Awards are offered in four categories: arts, campaigning, digital activism and journalism. 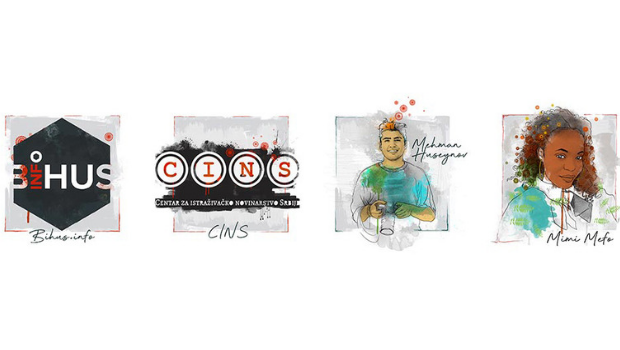 Beside CINS, in the category of journalism are: Bihus.info, a group of independent investigative journalists in Ukraine who are exposing corruption of many Ukrainian officials, Mehman Huseynov from Azerbaijan, a journalist and human rights defender who documents corruption and human rights violations in this country, and who was sentenced to two years in prison in March 2017 after describing abuses he had suffered at a police station, and Mimi Mefo as an award-winning broadcast journalist working in Cameroon’s climate of repression and self-censorship, who was arrested in November 2018 after she published reports that the military was behind the death of an American missionary in the country. Read more about all nominees here. In its press release Index on Censorship stated that many of the 15 shortlisted nominees face regular death threats, others criminal prosecution or exile. Some are currently in prison for daring to speak out against the status quo. Judges for this year’s awards are award-winning investigative journalist and Rappler.com Editor-in-Chief Maria Ressa, actor and filmmaker Khalid Abdalla, computer scientist and author Dr. Kate Devlin, and writer and social activist Nimco Ali. The winners will be announced at a ceremony in London on 4 April and will join Index’s Awards Fellowship programme and receive dedicated training and support. Index on Censorship is a UK-based non-profit organisation that publishes work by censored writers and artists and campaigns against censorship worldwide. Previous winners in the category of journalism were Wendy Funes, an investigative journalist from Honduras who regularly risks her life for her right to report on what is happening in the country, website Maldives Independent, as one of the few remaining independent media outlets in a country that ranked 112 out of 180 countries on the Reporters Without Borders Press Freedom Index, and Syrian-native Zaina Erhaim who returned to her war-ravaged country and the city of Aleppo in 2013 and was one of the few female journalists braving the twin threat of violence from both ISIS and the president, Bashar al-Assad. Will we win the European „Pulitzer“?